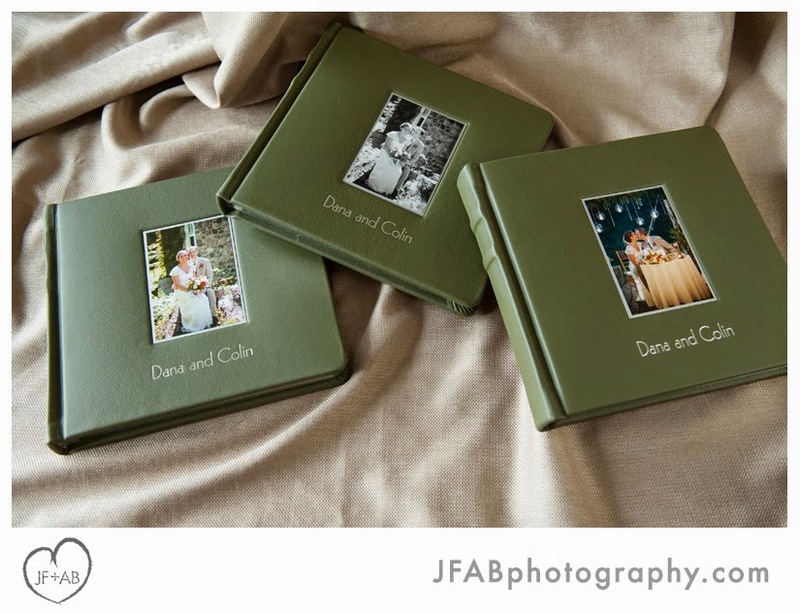 For Dana and Colin, their parents' albums were almost a bigger priority than their own. 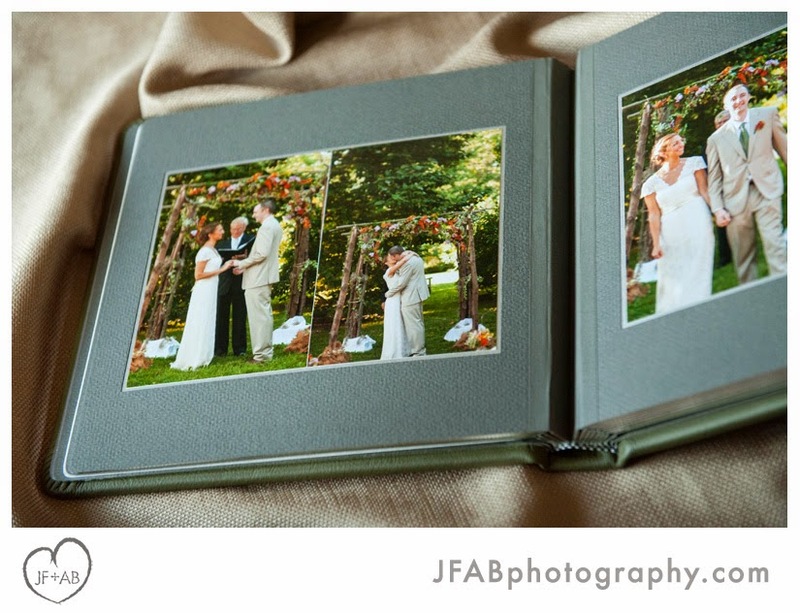 To thank their parents for all their help with the wedding, they wanted to get their parents their favorite photos ASAP. 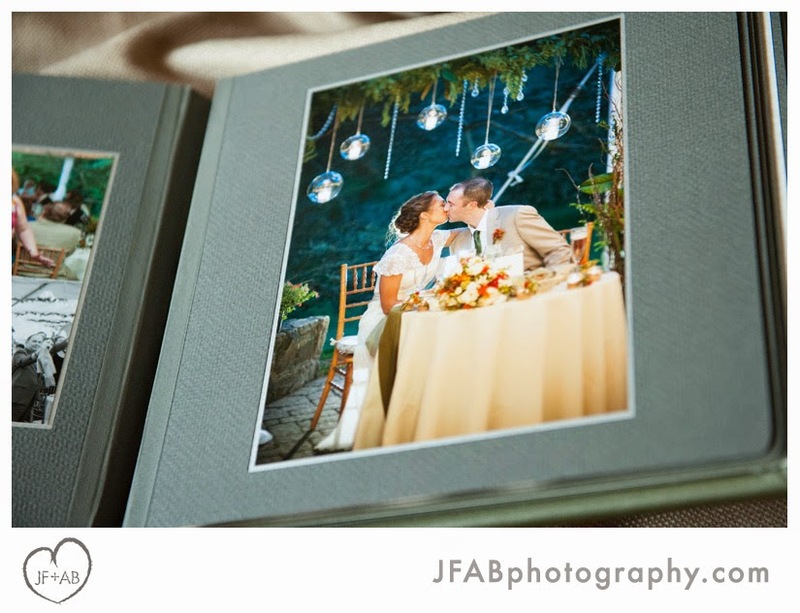 They loved the traditional feel of the 800R matted albums. We love the cool silver/grey/green color scheme they chose. 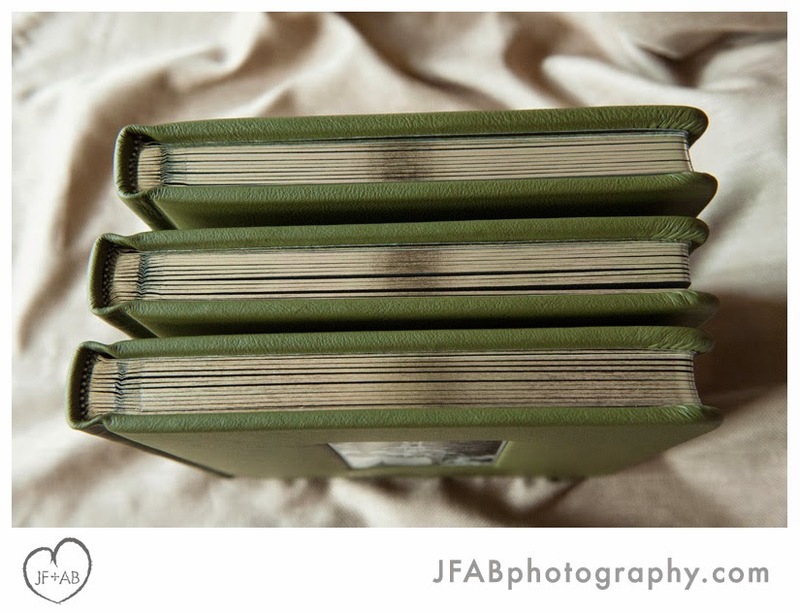 Scroll on for a glimpse of these beautiful books! 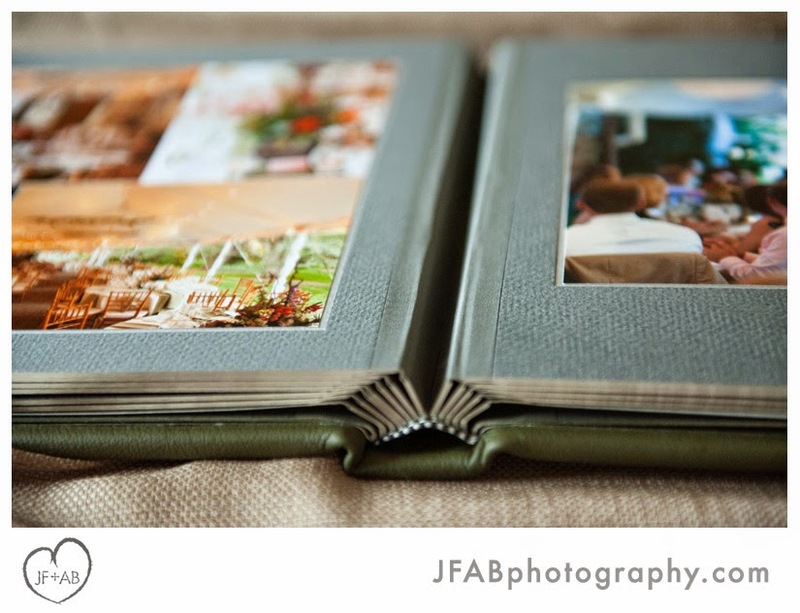 These are 10x10 800R matted albums with Euro Olive leather covers, silver gilding, charcoal mattes, and silver liners. The 800R has a linen hinge at the binding. 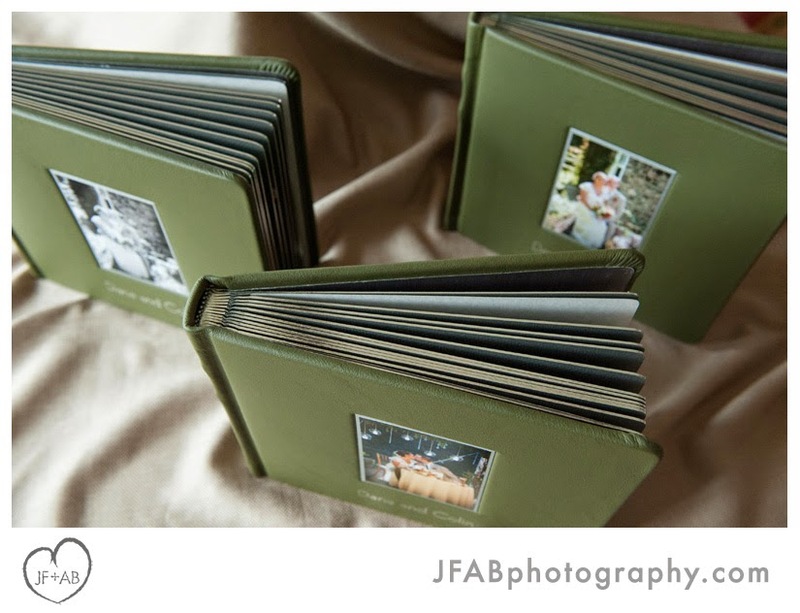 I often refer to these books as "traditional" but I love them because they remind me of the simple presentation of artwork on a gallery wall. 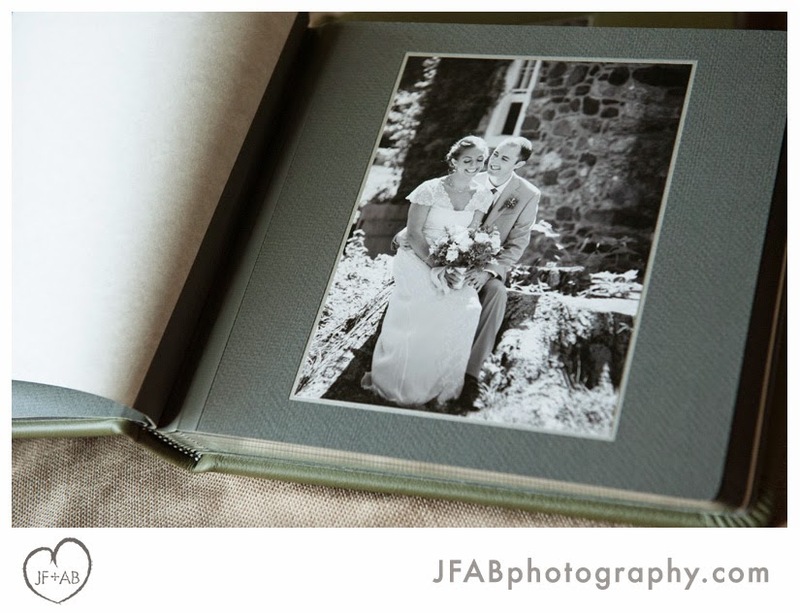 The vellum page opposite the first photo completes the gallery presentation feel. I like the look of collaged photos mounted and the diptych here has a nice feel.